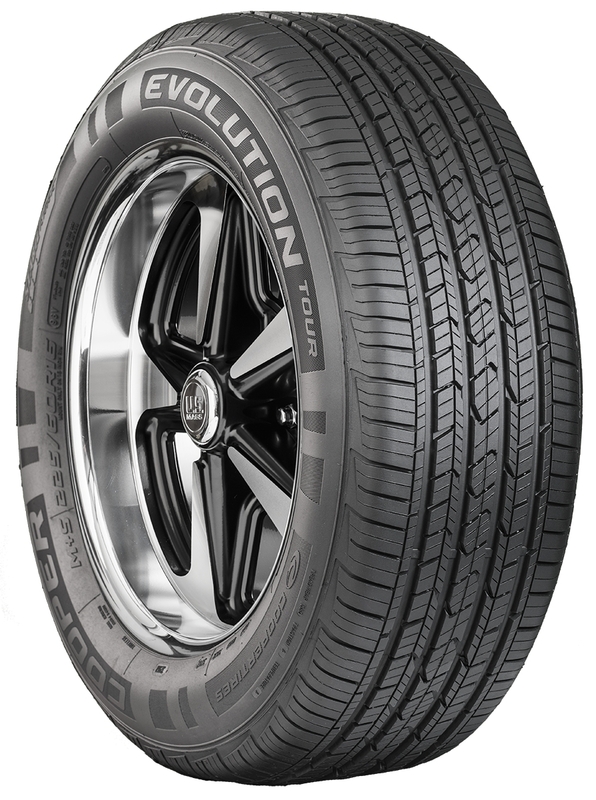 The Cooper Evolution Tour All Season tire offers fuel efficiency, a quiet drive, and a long tread life. The Evolution Tour from Cooper Tire is an all season tire specially designed for use on passenger cars, crossovers and sport utility vehicles (SUV). The Cooper Evolution Tour is designed to prove a smooth comfortable ride, responsive handling and all season traction. Built for confidence on both wet and dry pavement, the Evolution Tour can handle the challenges of the road with reliable stopping and enjoyable handling. The tread design of the Evolution Tour is designed to minimize road noise while still providing long tread life and even wear. Featuring 3D micro-gauge siping for wet traction and stability and coupled tread elements for precise handling, the Evolution Tour is built to perform. For the Cooper Evolution Tour, call or order from our online tire store today.